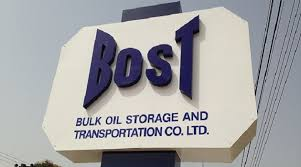 Managers of the Bulk Oil Storage and Transportation company (BOST) say they are appalled by the persistent spreading of misinformation by a consumer-based group, Chamber of Petroleum Consumers (COPEC). BOST which has been accused of causing financial loss to the state in the sale of $1.8m worth of crude called for informed contributions on the subject, pointing out that matters of oil trade are not simple. ‘We have become experts in oil trade just as we have become experts at football’, an energy consultant Nasib Akil said expressing concern at the sudden proliferation of ‘experts’ on oil matters. He said this during a press conference Tuesday addressed by the Head of Trade Department at BOST Albert Martey who appeared irked by COPEC’s allegations. “You have to come here and understand. We are willing to teach you about the nitty gritty of this trade so that when you go out there you will make accurate pronouncements,” Mr Martey said. He pointed to an agenda against BOST since it assumed new management in 2017 because if efficiently run, it could affect the businesses of other players in the oil distribution chain. COPEC has accused BOST of causing financial loss to the state in the sale of some $1.8 million worth of crude. BOST denies this accusing COPEC Founder, Duncan Amoah of making “illogical and baseless” allegations. Mr Martey responded to the many allegations the COPEC boss made, explaining that Mr Amoah would not have said many of those allegations had he understood how things work at BOST. He said among other things that the allegations are meant to tarnish the image of the BOST MD, Alfred Obeng Boateng. On the allegation that BOST sold its product at a discount of two dollars at the time crude oil prices were going up on the world market, BOST said it reserves the right to give discounts to any company it deems fit. “It is not out of place in the commodity market to give a discount,” Mr Martey said, explaining that a company willing to pay for its products upfront instead of the 90 days credit makes perfect business sense. Also, on the allegation that the company BOST sold its products to was unlicensed, Mr Martey said BB Energy did not need a permit in Ghana before it buys a product to refine. “If you buy a product and send it to Cote d’Ivoire to refine it in their refinery, you don’t need to register there before you can get your product refined. “TOR can have crude from anywhere and they will refine it…any supplier who will bring crude to TOR does not need a license in Ghana before their products are refined,” Mr Martey added. For him, Mr Amoah is simply ignorant on how oil trade works and should have been humble enough and seek education before going to the media. He said the COPEC boss should find other feasible ways to demand the reduction in the prices of fuel if as he claimed it is the reason for his outbursts. As far as Mr Martey is concerned, BOST has not engaged in any shady deal but rather strove to make fuel in Ghana one of the best in the world and “that is one of the best decisions we have made”. He added that “If Duncan Amoah will do any good to the COPEC group and the consumers, he has to understand how petroleum prices at the OTC level will be translated to the pump station level. “It is a whole value chain that he needs to understand and if he is able to understand that he will be able to pronounce whether things are being done in a way that consumers are getting value or not. His complaints have not reduced prices because they remain baseless,” he continued. He said BOST as a company is resolute and will ensure that Ghanaians see a reduction in fuel prices at the right time; it is not moved by the COPEC allegations.